Grip is guy from a tough neighborhood. He's seen violence, gangs, and injustice. But his talent in poetry and music has helped him leave that life. Bristol is from a family with power and wealth. Everyone in her family has a talent in music... everyone but her. She may not understand Grip's struggles, but she has her own conflicts in life. The two create a powerful connection with raw honesty. With open hearts and ears, they listen to each other about race, culture, and music. I absolutely loved this story. This series is a spin-off of Kennedy Ryan's Soul series, but you don't have to read that series in order to enjoy this book. 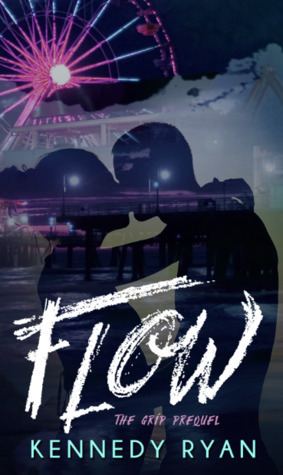 Flow is a prequel that needs to be read before Grip. It's a quick story about Grip and Bristol as young friends finding their path in life. I can't wait to dig into Grip.